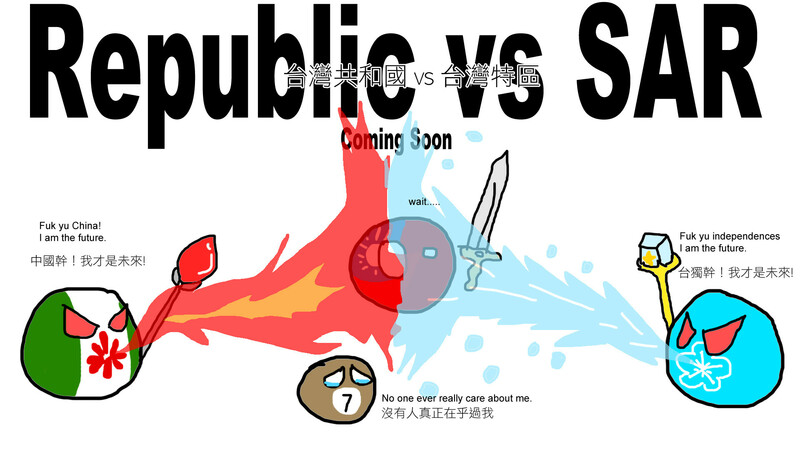 The Republic of Taiwanball is a hypothetical Taiwanball that managed to gain independence and become a democratic republic. The Republic of Taiwanball uses the “hearts-in-harmony” flag. In an alternate universe, Chinaball "liberates" Taiwanball and establishes the Taiwan SARball. 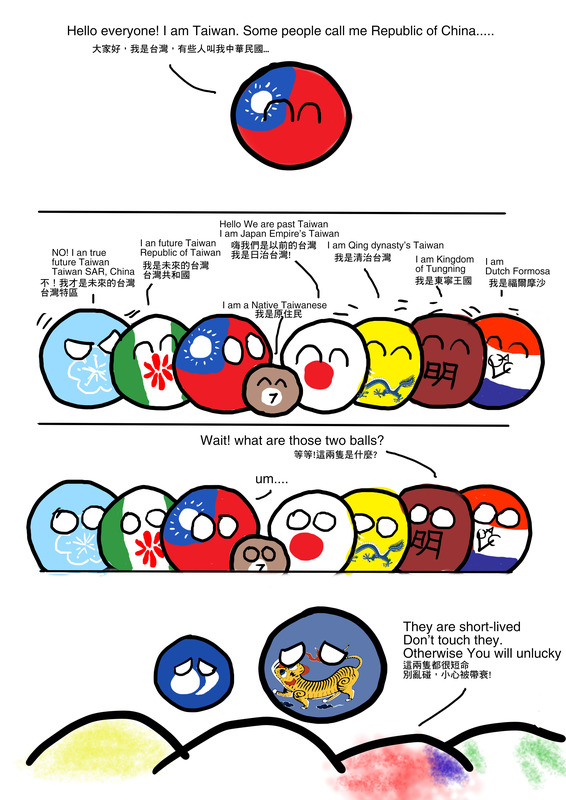 There are too many kinds of Taiwan!